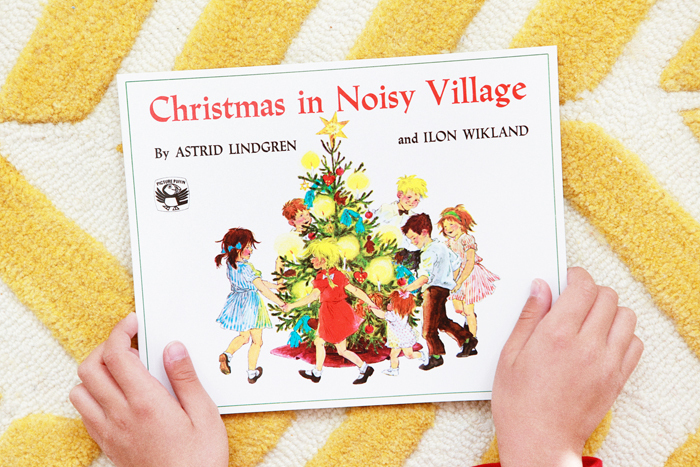 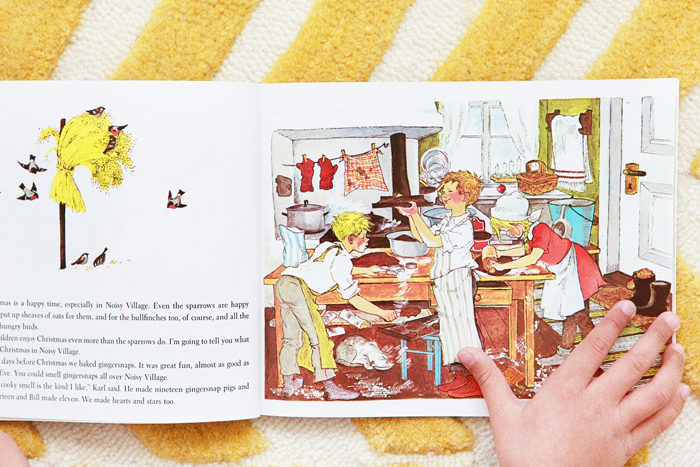 What we’re reading this week: Christmas in Noisy Village, by Astrid Lindgren and by Ilon Wikland, which has illustrated excerpts from the rustic Swedish classic. 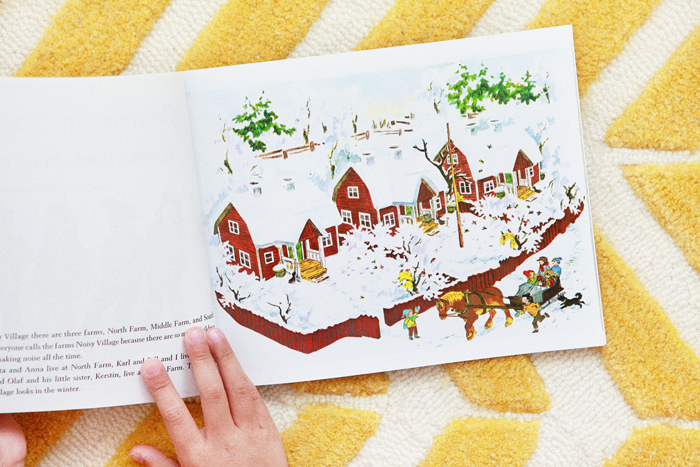 Noisy Village is comprised of three farms—North Farm, Middle Farm and South Farm—and earned its name “because there are so many children around making noise all the time.” Reading about all the goings-on in Noisy Village will make you long to travel to the children’s snowy Scandinavian landscape and make gingersnap pigs with them. 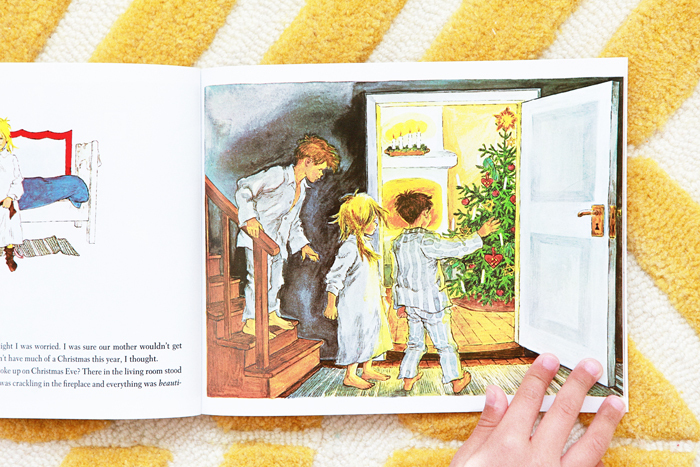 Avery’s favorite part was when everyone headed to Britta and Anna’s house for a Christmas party which included bobbing for apples and noshing on fruit cake and tarts!